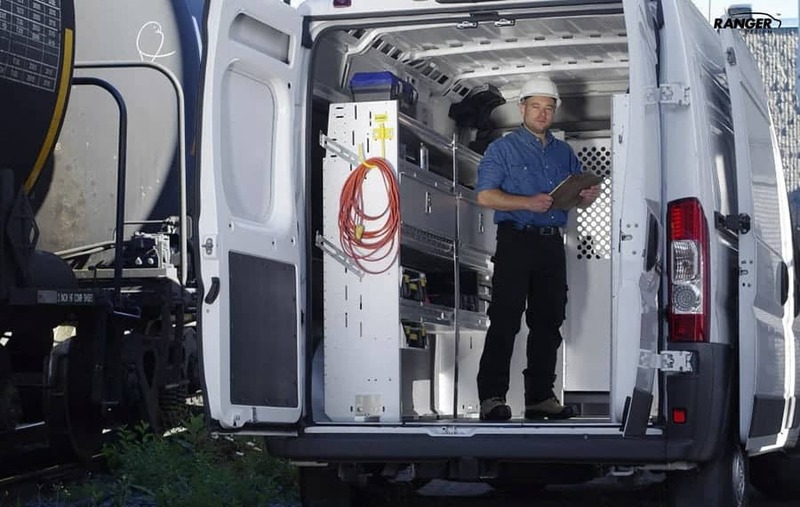 Your Ford Transit Van works as hard as you do. So it deserves a first-class shelving and storage kit. Is it better to design your own storage system or buy a pre-designed kit? We can help you decide. The best choice depends on two things, the trade you work in and your budget. Each trade has specific needs, so an optimal shelving arrangement for another trade won’t work well for you. If you want to design your own storage system, you can save time and effort by using our free (and easy to use) upfit design tool and select “Start blank” at the beginning. For maximum convenience and easy shopping, you can select a pre-engineered solutions offered as a Trade choice on the upfit design tool. Our storage packages are based on years of experience helping others just like you increase their efficiency and get better organized. It is so important to have what you need on board and within easy reach. Any mobile tech knows that there is no worse interruption to their day than starting a project and then realizing that the one piece they need is not in their van (or it’s in there somewhere but trying to find it is time consuming). Having a well laid out van with no wasted storage space is the key to getting jobs done quickly and effectively. Contractors: Keep it simple so you don’t lose time. Contractors use a lot of different materials and they need to bring it all with them. This trade often spends at least one full day on a jobsite, and will often spend weeks on the same jobsite. So, their van serves as their mobile warehouse and tool storage, all in one. A plain, big empty box with shelves haphazardly thrown in won’t get the job done. They do need flexibility too. A place for all their tools is a must but contractors also need cargo room to go pick up a load of material when they have to. Electricians: Every electrician needs to access something up high. Make sure you have the right ladders with you. Our ladder racks help you do that. Plus, you need places to carry wire, long conduit, boxes, connectors, plugs, switches, breakers and small parts. Plumbers: No other trade carries so much weight in cargo. Heavy duty shelving is a plumber’s best friend. Face it, copper and steel parts are heavy, especially when you have to carry a lot of them. Plumbers also like having storage bins to keep all those unique and special parts organized and within easy reach. HVAC: How many bottles of Freon can you carry? HVAC technicians are extremely mobile. They make more stops during the typical work day than any other technical trade. For that reason, it is extremely important that everything they carry is well laid out in a way that makes sense and is within easy reach. Time is money, and they don’t like wasting time digging through piles of tools and inventory at every service stop they make. Mobile Services: It’s all about the tools of the trade for them. A mobile service tech will carry a very specific set of tools with them. 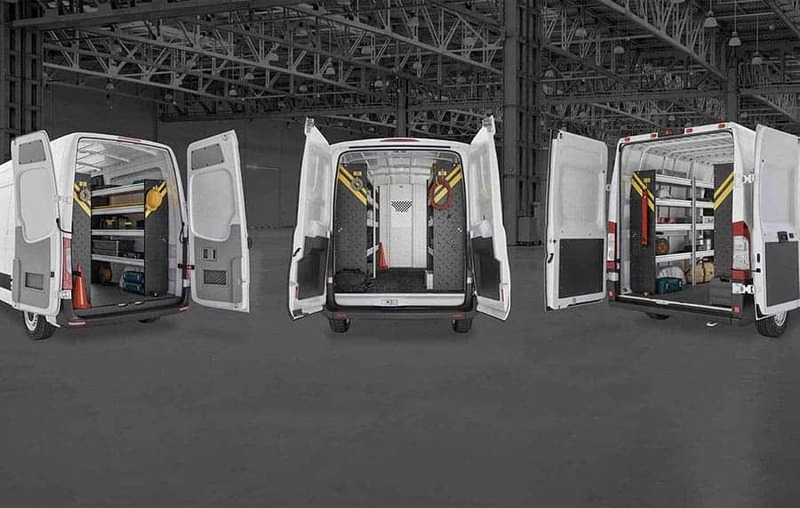 The ability to customize their van storage is very important for mobile service people. A workbench is often a useful (and much appreciated on rainy days) addition to a mobile service package. Delivery Van: Flexible space is key. Every day is different, and each delivery is different. What are you carrying today? Easy access is the most important thing for delivery people because they are in and out of their vans all day long. They are always on the move, more so than any other trade. 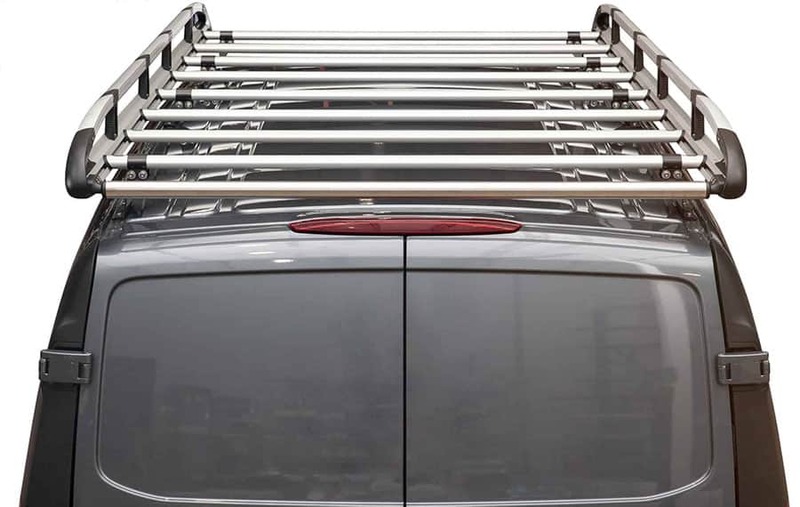 Get more out of your Ford Transit Van. 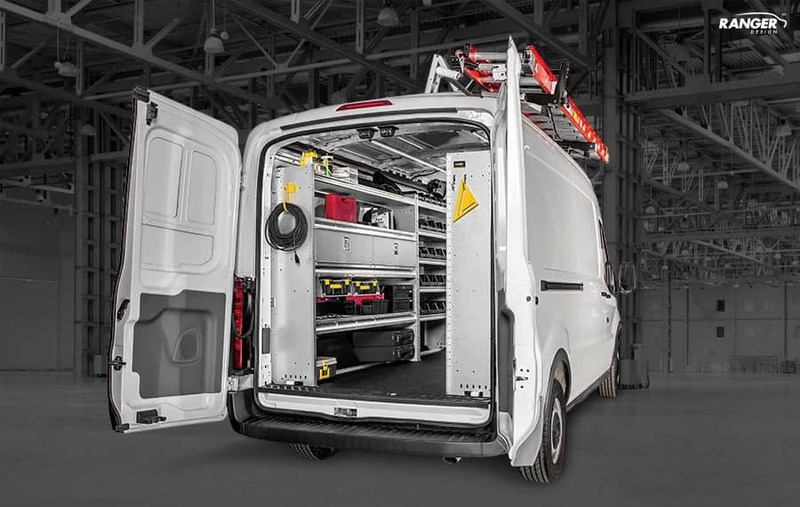 Build your own van upfit with our easy to use upfit design tool <https://rangerdesign.com/configurator/> or choose one of our pre-engineered packages.